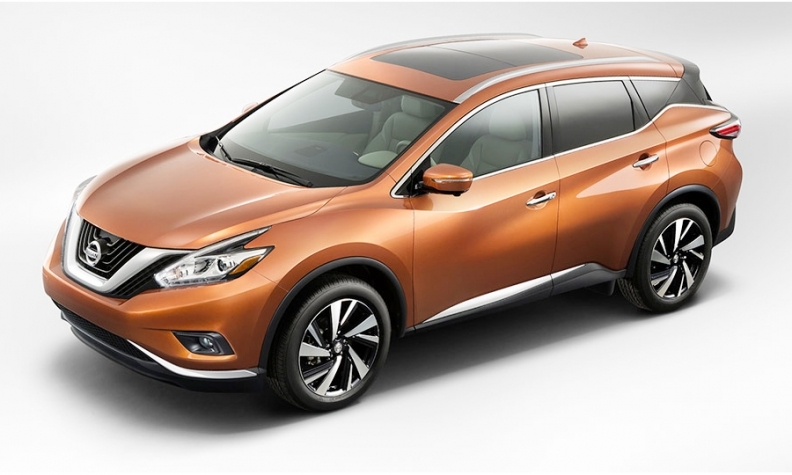 "Just as it did with the original, Nissan is taking some risks with the new Murano's styling. Bold and futuristic, the 2015 Murano's sporty and swoopy lines are highlighted by a "floating" roof that creates the illusion that the rear roof section is supported only by glass. Along with prominent chrome accents and distinctive winged headlights, the Murano brings a welcome dose of style to a class of vehicle that is still at its core about practicality. There is still plenty of practicality in the new Murano, though. It's a little bigger than last year's model, and the added space provides more room for passengers and their cargo. Nissan's "Zero Gravity" seats also make their debut on the 2015 Murano. They provide great support for reduced fatigue on long drives, and in the Murano you get them not just for front occupants, but rear (outboard) passengers as well. All occupants are surrounded by quality materials and the latest in technology and safety features. Nissan's three-row Pathfinder might offer more room for a similar price, but the Murano is certainly nicer.